Last month we celebrated a special 30th birthday with my friend Sunny. I wanted to create a bright and colourful card to reflect her personality and it had to be a unique shape – so when I saw this card by Mary Fish on pinterest I knew I wanted to case it (you can follow my own pinterest board by clicking on the icon in the left sidebar). You should note however that the directions for Stampin’ Up! Framelits Dies indicate that they are intended to cut through only one layer of card stock and to create this card I cut through two pieces at the same time. This may void your warranty if you try it at home – so please be careful. Have a great day and try to get some stamping in! 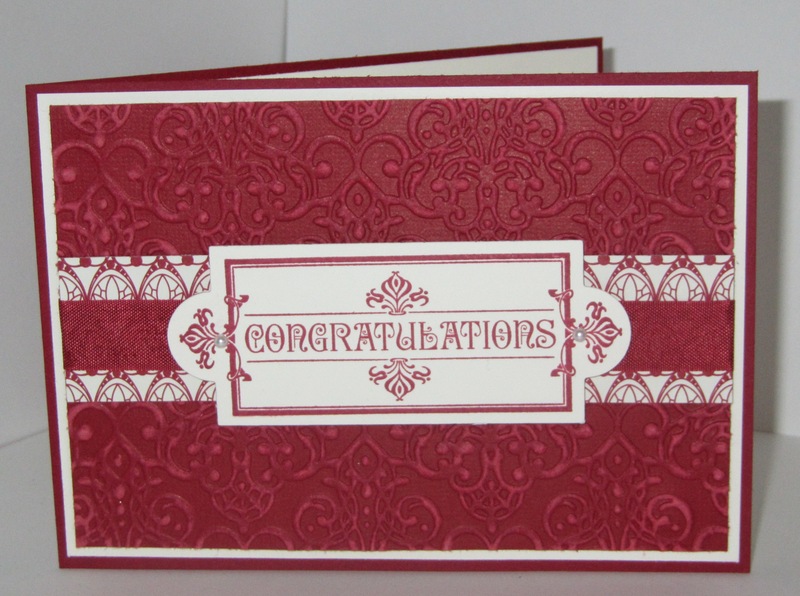 I am taking a quick break from Christmas cards today to show you a Congratulations card I made recently for a bride and groom. 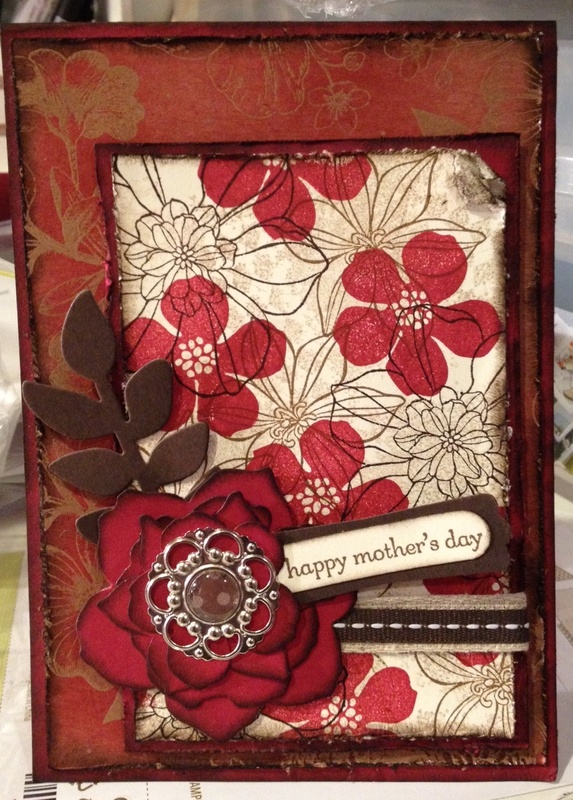 I used our new core’dinations cardstock for the background – I embossed it using our new lacy brocade embossing folder then sanded it to create a distressed look. Accessories: Cherry Cobbler seam binding ribbon & apothecary accents framelits dies, pearl basic jewels, lacy brocade embossing folder, sanding block. 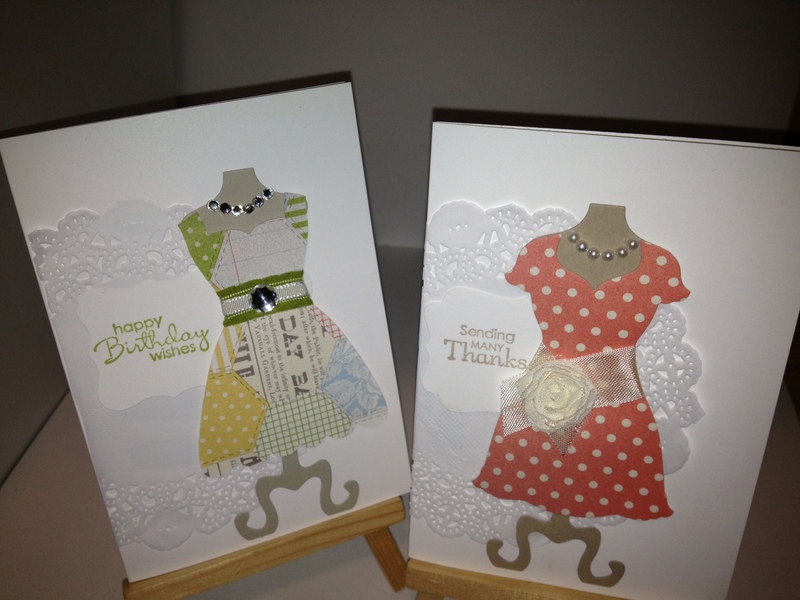 Have a great weekend – and feel free to contact me on anna.mathieson@xtra.co.nz if you have any crafting questions. You still have 13 days to take advantage of my FREE shipping offer for November. 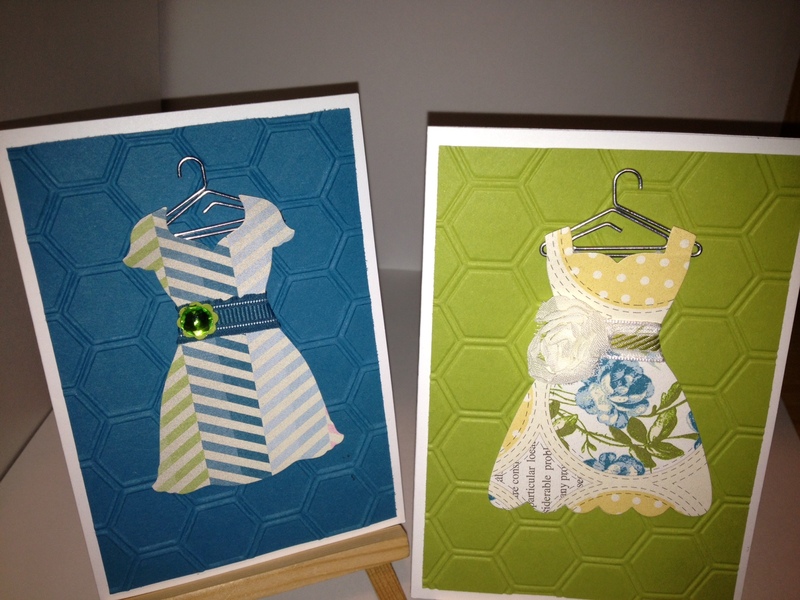 Tonight I would like to share with you a 3D project made for me by my upline Sandee. Sandee created the box using the candlelight speciality DSP (from the holiday mini) and the fancy favour die. 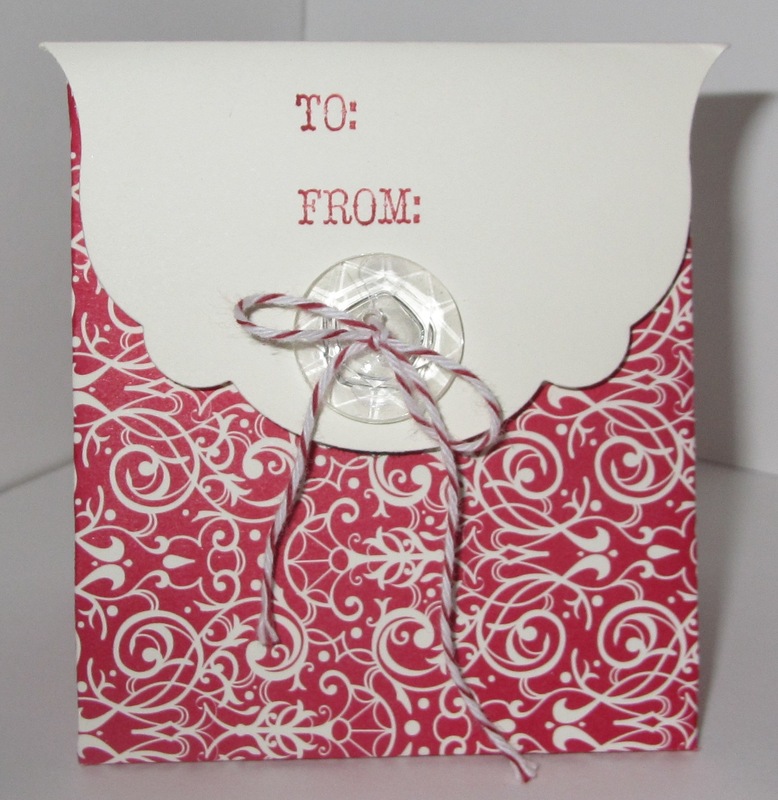 She created the topper using the Labels collection framelits and I really love how she tied the vintage faceted designer button with the cherry cobbler twine. I think these boxes would be great to give gift vouchers or money in for someone special at Christmas. Have a great night – and try and get some crafting time in! I created this card for our recent heartfelt event to showcase our wheels, and I really like result. Did you notice the stamped ribbon? I used our new Naturals cotton ribbon (page 20 of the holiday catalogue) and stamped it in coordinating colours to match the card. 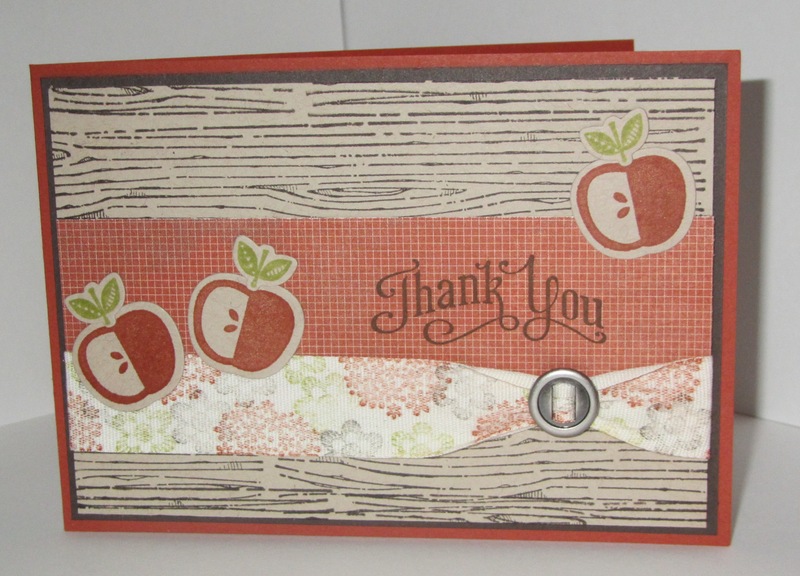 Would you like to learn how to use these neat framelit dies? Why not book a class of your own at my place or yours? Email me for more details.